A high-profile delegation of the UN Security Council reached Tambru border area at Naikkhangchhari in Bandarban to see first-hand the impacts of the Rohingyas, who have taken shelter in Bangladesh in face of violence in Myanmar's Rakhine state. The UNSC team will spend over three hours at Kutupalong Rohingya camp, according to an official at the Foreign Ministry. The team arrived in Cox's Bazar on Saturday afternoon to see the brutalities that the Rohingyas faced in Myanmar’s Rakhine State and steps taken by the government of Bangladesh. UNSC President for the month of April, Gustavo Meza-Cuadra, is leading the delegation, says an official. Earlier, the delegation landed at Cox’s Bazar airport at 4:15pm by a special aircraft and then they reached Royal Tulip Hotel on Inani beach, Cox's Bazar. 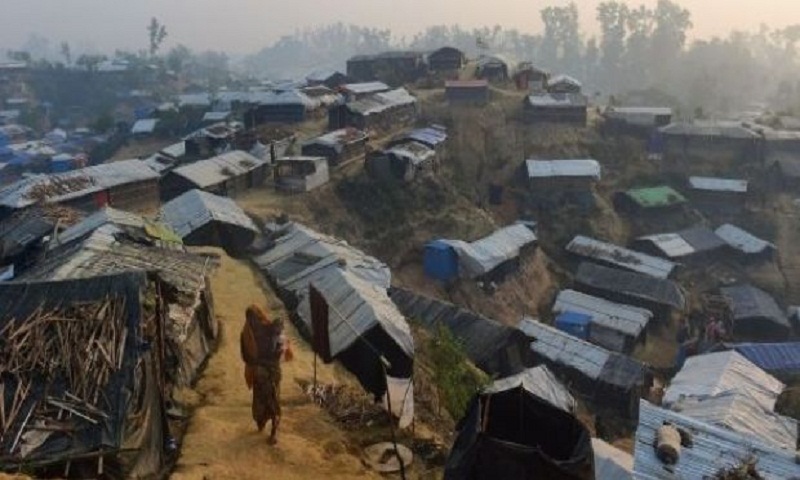 They are scheduled to exchange opinion with Foreign Ministry officials, representatives of UN agencies, Commissioner of Cox's Bazar Refugee Relief and Repatriation Commission (RRRC) Mohammad Abul Kalam and representatives of law enforcement agencies on Saturday evening. The UNSC team is scheduled to leave Cox’s Bazar for Dhaka at 3:30pm. They are scheduled to meet Prime Minister Sheikh Hasina at Gonobhaban on Monday and will leave Dhaka for Myanmar for a two-day visit to discuss on the Rohingya issues with Myanmar authorities. The UNSC visit was originally scheduled for April 27-28. Over 700,000 Rohingyas fled to Bangladesh, and the influx, though reduced in recent weeks, continues despite Myanmar's assurances of stopping violence in Rakhine.